So, what exactly is The Cloud? Put into simple terms, Cloud Based Storage is a sort of online back -up, a means of saving files onto the Web rather than just your computer’s hard drive. Your information and files can then be accessed from any computer, anywhere with a connection – which is virtually everywhere these days – just by logging in. Compared to the potentially massive costs – in terms of both time and money spent – of running your own servers, and then the costs of any IT support if anything were to go awry – it can be relatively inexpensive as well as reassuring, too. A bit concerned about putting all your information out there? Don’t be, security has come on in leaps and bounds since the inception of Cloud-based storage, with the best business storage service providers using an encrypted connection when you upload or download a file, or when it’s synched across your devices. The majority also encrypt the data when “at rest” – that is, when it’s stored on their servers – so even they will have no idea what you’re storing. What Benefits Does it Bring to your Business? Save everything. Never, ever lose a file again. Your files are stored securely, usually over multiple sites, meaning that in the event of a physical loss such as theft of office laptops, or disaster such as fire or flood, you don’t lose your files. Of course, it makes sense to have more than one back up and store files locally as well. There’s never anything wrong with a belt and braces approach. Automatic back-up. It just happens, seamlessly and quietly in the background. You need never fear a power cut or blue screen of death again. Convenience. Files can be synched across all of your devices. So, perhaps you’ve been working on a document but are meeting a client before heading home. Save the document on to the cloud from your desktop, then continue editing it that evening, on, say a tablet to which that file is also synched. In an age when many of us work from home, this is invaluable. Collaboration. There are sharing mechanisms so you could securely share certain documents with staff or colleagues – either read-only or with anyone authorised (that is, those to whom you’ve chosen to give the log in details) being able to modify them. Money Saving. Possibly more cost-effective per gigabyte to store data, since Cloud service providers can provide the storage far more cheaply than you could provide the space on discs, plus offsite backup disks etc. Security. Despite common fears, most cloud storage providers will have far stronger security than the average business has in place. Cloud providers are like any other major Internet company with regard to their procedures to protect themselves from being hacked. However in their case their entire business and reputation would be irreparably damaged if they were breached. Just make sure your password is totally different from any others (perhaps even consider a password manager… but that’s a whole other story) and if possible enable two factor authentication. Choice. 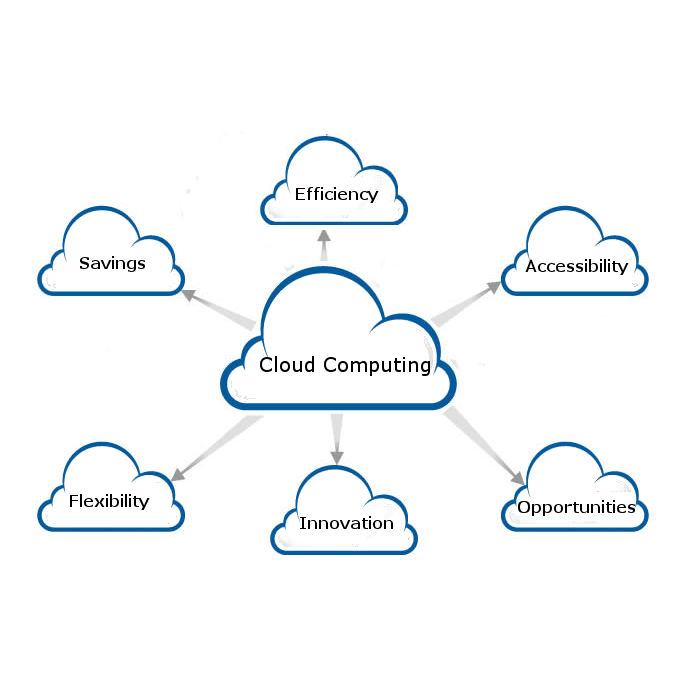 There are now countless Cloud service providers out there, so you should be able to find exactly the service and provider that fits your requirements. Budget is a major factor, but security is paramount. Look for good tech support, and is data-only backup enough or do you need full disaster recovery. There’s a provider for every business. In this day and age, storing everything in the Cloud is definitely the way to get ahead – and stay there. San-iT are a North West based company offering a range of Cloud services and cloud support options for your business.